Gain a wonderful insight into some of Scotland's finest properties. Discover untold stories as you are taken on guided tours, often led by the clan and estate owners themselves. Depart early afternoon. The train heads north, crossing the splendid Forth Railway Bridge. Disembark at Montrose to visit Brechin Castle Gardens, one of the finest private gardens in Scotland. During a leisurely breakfast, the train makes its way to Inverness and north to Invergordon, where guests alight for a visit to the 18th-century Foulis Castle, seat of the Clan Munro. Mrs. Munro of Foulis and her son, Hector, the Clan Chief, welcome you, after which you can explore the grounds and courtyard garden. Alternatively, join Hector in the drawing room for a whisky tasting. 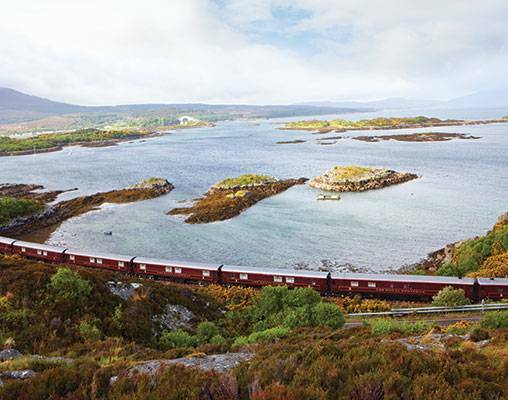 Return to the train for lunch as you travel towards Kyle of Lochalsh past the Torridon mountains, Achnashellach forest and Loch Carron. Disembark at Plockton for a visit to Attadale on the west coast, this magnificent estate boasts a Water Garden, Japanese Garden and Sunken Garden among other treasures. The night is spent in Kyle of Lochalsh, where an informal dinner is served followed by coffee and liqueurs in the Observation Car. Disembark after breakfast to drive across to the mystical Isle of Skye and the 2,000- acres Clan Donald Estate. You can also spend time in the award-winning museum and discover the history of the Highlands and Islands. Return to the train in Kyle of Lochalsh and enjoy a leisurely lunch as you retrace part of yesterday's route as far as Dingwall. 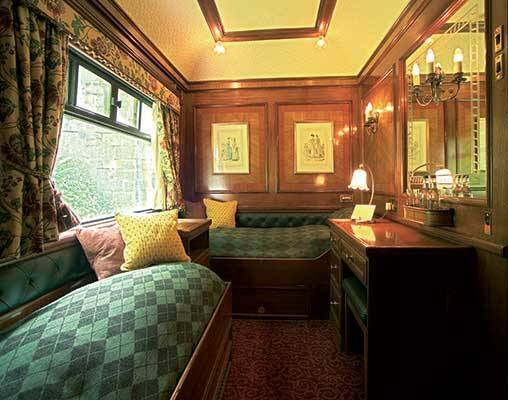 This evening disembark to visit Ballindalloch Castle, one of Scotland's most romantic castles, with its wonderful walled gardens Rejoin the train at Boat of Garten on the private Strathspey Railway. A coach takes you to the Rothiemurchus Estate, where you can tour the parkland or enjoy some of the many outdoor activities on at this breathtakingly beautiful site beneath the Cairngorm Mountains. 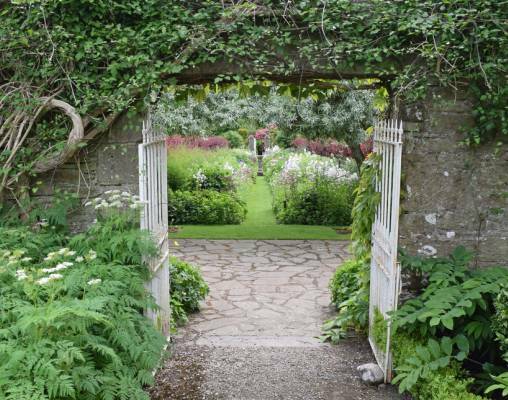 After reboarding the train at Kingussie, you journey south to Dunkeld and alight to visit Ruthven House and Pitmuies Garden, near Forfar. Return to the train in Dundee for dinner and a final night on board. Depart from Dundee in the morning and return to Edinburgh. Several of our rail vacations begin and end in far off destinations in Europe, Asia, and South America. Make your next international train tour even more inclusive by adding roundtrip airfare from your nearest gateway. When you add air to many international train vacations, you also receive a transportation package that includes roundtrip transfers.Look for the Air Available icon to identify those vacations that can accommodate the inclusion of international airfare. Ask your rail specialist how you can make your vacation air-inclusive. Enter your details below if you would like to be notified when 2021 dates and prices are available for The Royal Scotsman – Heritage Homes & Gardens. Prices are correct at the time of publication, however are subject to change at time of booking. Prices are in USD based on a given exchange rate from 3/18/19, and can vary based on the exchange rate at time of booking. Prices are land-only, per person based on double occupancy. Single pricing is available. Please call a rail specialist for details.